Dogs are wonderful, loving animals that make great companions. One of the very few drawbacks of having a dog as a pet though is that they can shed a lot. That said, there are quite a few small dogs that don’t shed much at all and there are obvious advantages to choosing one of these breeds, especially if you suffer from allergies. Dogs shed fur and also what is known as dander. Dander is a bit like dandruff, in that it is tiny bits of dead skin that come off the dog when it sheds its fur. The dander floats in the air and so it gets into our lungs as we breathe and this can cause allergic reactions in people who have allergies and asthma. These reactions can range from mild, such as sneezes and watery eyes, to severe reactions such as skin rashes and even asthma attacks. So if you’re sensitive to allergens and/or have asthma, and you’re looking to get a dog, then it may be best to consider one of the small dog breeds that don’t shed much. The reason for this is that these non shedding small dogs are much less likely to be allergenic. Another plus point to small dogs that don’t shed is that you have to spend a lot less time cleaning up after them, for example vacuuming the carpet or rug and removing hair from the sofa. On the flip side, you should be aware that you will have to spend more time maintaining the coats of non shedding small dogs to prevent them from becoming tatty and matted. Below is a list of non shedding dogs. As this website is all about small fluffy dogs, the list does not include large or hairless dogs. It only contains fluffy small dogs that don’t shed. For a complete list of non shedding dogs check out this page. Most, but not all, of the small dog breeds that don’t shed are single-coated dogs – there is the odd example of low shedding double-coated breeds. 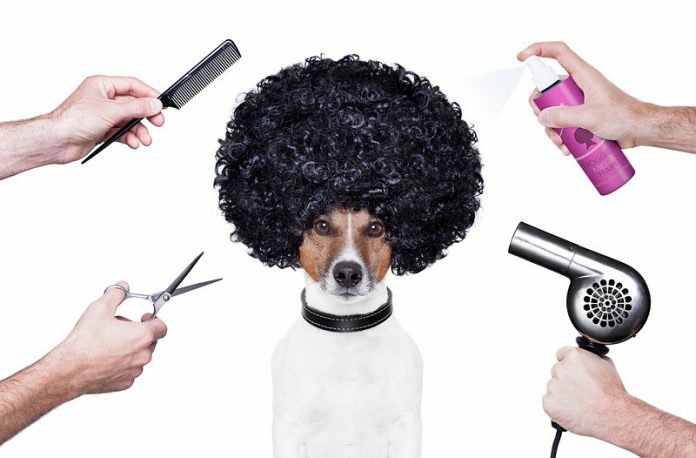 The Bichon Frise has a curly coat that doesn’t shed, but does require a lot of clipping and maintenance. 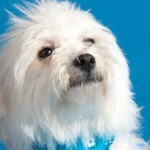 It will need the hair cutting every month as well as regular brushing to prevent tangles and matting. 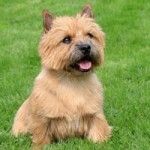 Cairn Terriers shed very little and they require very little maintenance to keep the shedding under control. The coat really just needs to be brushed several times a week to stop matting. Despite their long hair, these small dogs don’t shed very much at all and are one of the best small dog breeds for allergy sufferers. 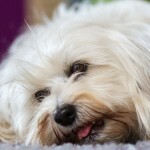 Regular brushing will reduce the amount that the Havanese sheds even further. 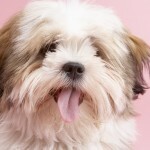 The Lhasa Apso is a single-coated breed with long hair. 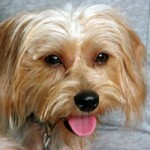 Because of the long growth cycle of the hair, the Lhasa Apso sheds very little. The long coat will, however, need to be brushed and combed daily. The Maltese is another of the small dogs that don’t shed very much at all. If you have your Maltese’s hair cut short, the coat will just need a good brush about once a week. If the hair is long, it will need a daily brush to stop matting. 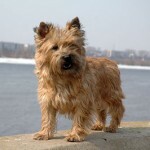 The Norwich terrier is another breed that’s considered to be one of the non shedding small dog breeds. It’s a very light shedder despite being double-coated. The coat does need a daily comb and brush. 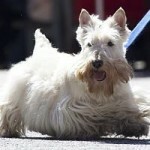 The Scottie is another double-coated dog that sheds virtually no hair at all; much less than most other breeds. The coat does requires regular brushing. Shih Tzu shedding is very minimal. 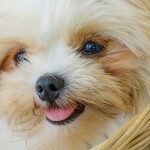 You’ll sometimes find a bit of long hair but apart from that Shih Tzus can be thought of as non shedding small dogs. Daily brushing and combing of the coat is needed to prevent tangles and matting. 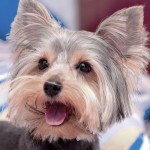 The Silky Terrier is another small dog that doesn’t shed. It does however require a daily brush and comb of its coat as it’s very prone to matting and tangling if it isn’t looked after carefully. 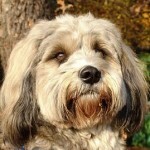 The Tibetan Terrier is considered to be a low shedding dog as it doesn’t shed daily. Tibetan Terriers do however shed on a yearly basis. The coat requires a lot of grooming and brushing every two or three days. 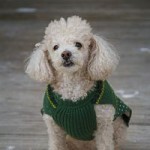 The Toy Poodle sheds little to no hair. Like most of the other non shedding small dogs, their coat requires a lot of grooming and brushing. They will need grooming every four to six weeks. 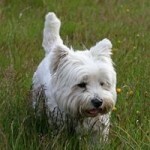 The West Highland Terrier is a very low maintenance small dog breed that doesn’t shed very much at all, making it a good choice for those with allergies. They do, however, require regular brushing and grooming every six weeks or so. The Yorkie is yet another of the small dogs that don’t shed very much at all. If the coat is clipped then it’ll need at least a weekly brush and comb but more likely it’ll need daily care. If the coat is long then it’ll need a lot of care. While there’s no breed of dog that does not shed at all, the above list of non shedding small dogs is worth looking at if you are sensitive to allergens or suffer from asthma. Not only are you less likely to suffer adverse reactions to these dogs, but you’ll spend less time cleaning up after them. 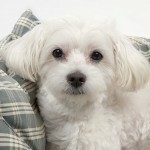 Even if you don’t suffer from allergies, one of these small dog breeds that don’t shed is still a great option as a pet as they are all friendly and loving, and most of all, irresistibly cute! I love big dogs too (all dogs are great! ), but I find the small dogs so cute. Of course, that can lead to problems if you’re not careful – it’s so easy to spoil them and let them get away with things you wouldn’t necessarily let a bigger dog! With these dogs, any dog owner or would be dog owner can have their cake and eat it. It’s an unfortunate fact that some dogs are not easy on some people’s allergies especially if the dog is endearing to them. Thankfully we have these non-shedding, hypoallergenic, yet fluffy canines to choose.